UGG Boots* originated in Australia and became a firm favourite for surfers in the 60's. They are usually made of high quality sheepskin with a fleece on the inside. This means that they are not vegan-friendly. The outer surface on the original styles of UGG are tanned, and the sole is synthetic. UGG do Slippers* and they are brilliant for the Winter. Lined with sheepskin, you'll never have cold feet again. Worried they will give you sweaty feet? Nah, no overheating tootsies with these at all. UGG* hold their own Sale, and you can pick up UGG bargains from Very*, M and M Direct*, Schuh* and many other official stockists. The UGG Australia brand is well know around the world, and whilst you may well be able to buy sheepskin type boots everywhere, this brand have a reputation like no other. Did you know that UGG have an Outlet online*, as well in Designer Outlet Shopping Centres? 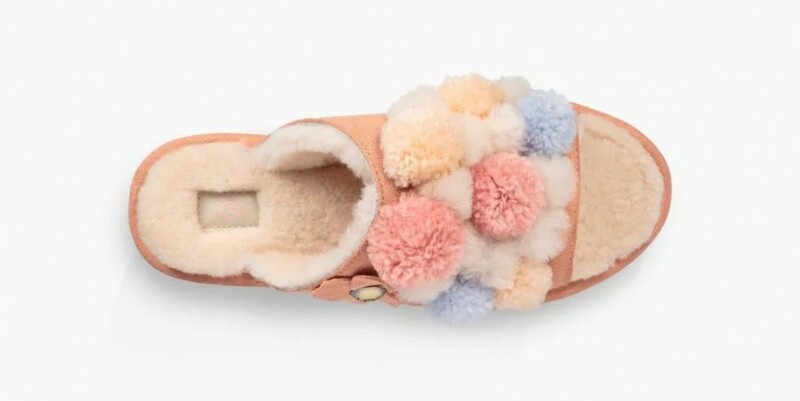 Women's Footwear* starts from just £12 at the official UGG Australia Outlet, plus they often do Clearance Events with up to 70% off! If you're after UGG Boots, but are reluctant to pay full whack for them, then you can shop the UGG Sale*. Their own UGG site has numerous Sales on throughout the year, as do official stockists, Very*. UGG have your feet covered, but what about your hands? They have them sorted too with Gloves and Mitts*. Yes, some are even all fleecy lined with sheepskin, so they are soft and so warming for the hands. It's not just big Winter boots that UGG manufacture, but some stylish shoes too. Think flats and heels, that are built to be stylish, sturdy and long lasting. Thinking that UGG only cater for the Autumn and Winter? You're wrong! The Australian brand makeSandals* too - I mean, it makes sense since the boots are surfer's favourite. How can you tell if UGG Boots are genuine? Marketplaces, Auction Sites and the likes are awash with fake UGG Boots. We aren't talking about sheepskin boots, but those that have purposely been manufactured to dupe buyers into thinking they are purchasing the real deal. UGGS are no longer made in Australia or New Zealand, and haven't been for a couple of years. If you spot boots that are being sold as 'made in Australia' then see this as a warning sign. Look out for 'made in China' or 'made in Vietnam'. 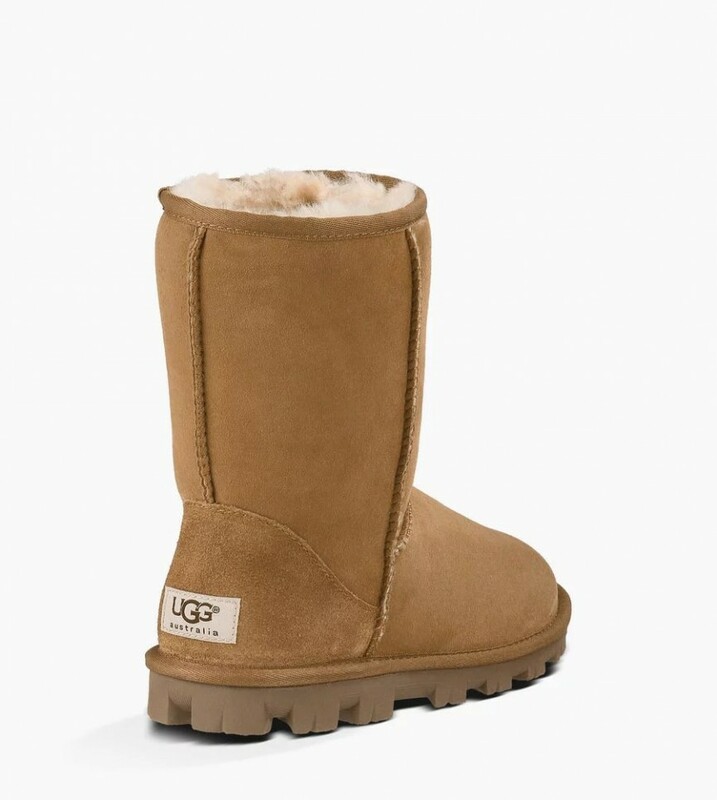 Stick with Official Stockists - you can check in the UGG database here*. UGG pride themselves in high quality, so check the labels on the heel of the boot, is it poorly sewn on? Check the quality of the Shoe Box, is it made of thick cardboard? The quality of the lining is a biggie, if it isn't luxurious, thick fleecy then chances are you haven't got the real deal. 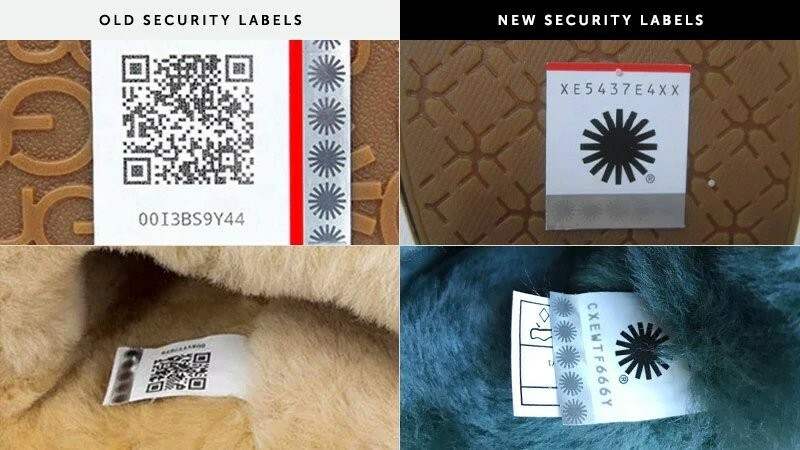 Recent UGG Australia Boots have a code on the sewn-in security label, in the left shoe. This can be scanned to verify authenticity. Check the sole - Classic UGG Boots have a flexible sole, so if it won't bend at all, then it's likely to be a fake. Is UGG Australia the same as ugg? UGG Australia is a brand of UGG Boot. They are not the original manufacturers of Ugg Boots, as in a sheepskin boot. UGG Australia Boots have "UGG Made in Australia" on the heel label, and are made from genuine sheepskin. UGG Australia is the most popular brand of Ugg Boot in the world. In more recent years, they have been known as just UGG, rather than UGG Australia, this may be because manufacturing is now in Far East Asia, rather than in Australia. Note, that in 2016, UGG Australia dropped the 'Australia' from their name and are now known as UGG. What does UGG stand for? Contrary to common belief, the UGG in UGG Boot, is not short for 'ugly'. It's much more likely that the term 'UGG' was derived from 'fug boots', that were worn by the R.A.F. during WW1. Fug boots look rather than what we now know and love as UGGs. Genuine UGG Australia boots are made in China, by Deckers Outdoor Corporation, and have been for the last two years. Previous to this, they were manufactured in Australia and New Zealand, as the brand name suggests. Is there a list of genuine UK UGG stockists? There are many official UGG Stockists in the UK, and you can find them by entering your postcode here*. Big High Street Footwear Retailers like Office and Schuh are the most commonly seen official distributors.